Why would The Klingons accept Christ? Christianity fits well into the Klingon culture, though first impressions may seem to be to the contrary. Klingons are warriors, first and above all. 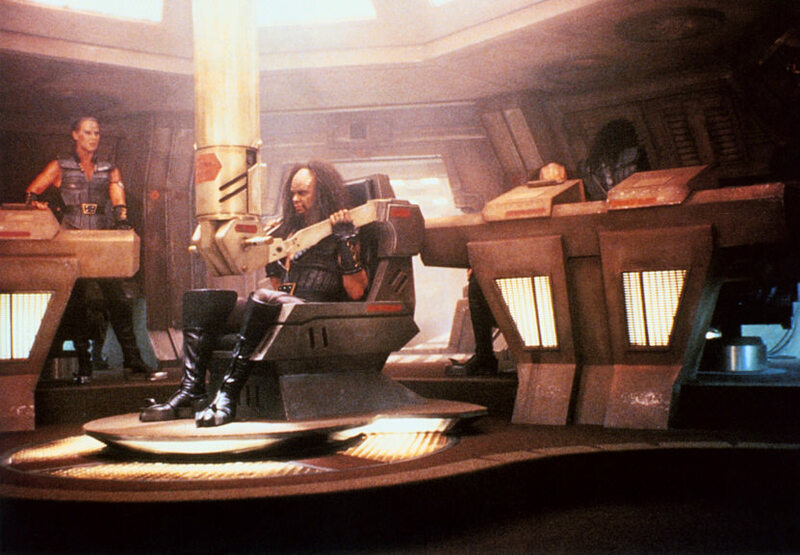 The Klingon's devotion to the empire, to one's family and to personal honor, is well established. Along with this particular attention to honor is a strong attachment to duty, even to the point of death. For the Klingon, death is not feared. Remember the the Klingon proverb, "Today is a good day to die." Klingons are not satisfied in peace, even a "peace of the brave," as the Palestinians and Israelis are presently engaged in discovering. For the Klingon, peace is a catastrophe, for it leaves no opportunity to cover oneself in glorious deeds. There is a Klingon proverb, "Pity only the warrior who has defeated all his enemies." 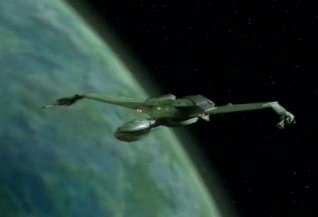 So, where does this leave the Klingon who is at peace with the Federation, who is surrounded with species that will not fight, with Romulans that hide behind a neutral zone, with Cardassians who are cowed and the Dominion who are a dying people? 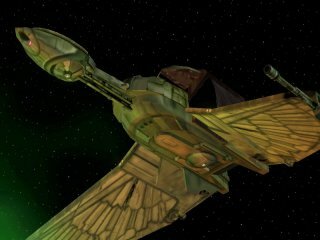 Without an enemy, is it true that Klingons will fight amongst themselves and destroy the empire? It cannot be. Christianity is a warrior's religion. 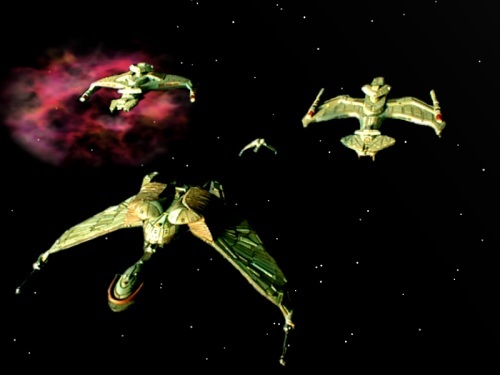 It offers the Klingon enemies worth fighting: Sin, Death, Satan and his legions. And the greatest holy war of all, a jihad to thrill the heart of a true warrior, the war to dominate one's own will. This is a glorious fight, and one that any true warrior relishes. "If a Klingon does not fight, he does not breathe." Look at this section from a letter written by Paul to the Ephesians and say that Christians are not warriors! Indeed, Klingons accept the teachings of Christ as part of a warrior tradition. Christ brings not peace, but a sword. And this batlh'etlh is a sword of honor indeed! Isn't Jesus the humble suffering servant? Is the image of Christ as the humble and suffering servant compatible with Klingon attitudes? More to the point, how would a Klingon warrior react to the fragile, demure, and subjugated figure of Christ hanging upon a cross? Ah! Of course a Klingon would reject such a figure, presented as it has been by countless Renaissance artists and Sunday School teachers over the years. But that is not the true picture of Christ. Christ was a robust and strong man, capable of fashioning a whip out of cords and using it to drive the corrupt moneychangers out of the temple area, all the while overturning heavy tables. He went fishing at a time when fishing was hard labor indeed. But this pales in comparison to his endurance and courage at the end of his life. After enduring the taunts of his captors, their beating him with fists, being trundled roughly from one judge to another, Christ is beaten close to death with a Roman flagellum, a whip with each leather lash weighted with a heavy piece of metal, or sometimes bone, that would rip into flesh, bruise the muscle, and then tear the flesh as it was pulled away. After stretching him on a pole so that his skin was taut, the flagellum was used by a trained Roman guard to flay his skin from his back. People often died from this abuse, but Christ survived. The Roman soldiers fitted a crown of thorns roughly onto his head. These Judean thorns were like spikes often an inch or two in length. They placed a heavy robe on his back and taunted him with more beatings. When they removed the crown and robe, the coagulated blood would have been pulled away and all of his wounds, especially the raw flesh of his back, would have been re-opened. Medical experts predict, at this point, that Christ's loss of blood should have at least put him into shock, possibly killing a normal man. This man, Jesus, carried a heavy piece of timber to the place of crucifixion. The blood-loss was so severe that after stumbling several times, an observer was pressed into carrying it for him part of the way. Jesus was then pinned to this rough wooden cross, which undoubtedly opened his back wounds again. Through each wrist, a large iron spike was hammered. Medical experts conjecture that this was done mostly to cause unendurable pain, for the nail would surely pierce the radial nerve, causing a burning pain throughout the arm and shoulder and chest. The Roman guards, well-trained and adept at causing maximum suffering, would put another spike through the front of both feet. Christ was so exhausted by this ordeal that every word he spoke was torture. To take a breath, even a shallow one, required that he lift his weight onto the nailed feet, an excruciating ordeal. As he tired, he bought each breath with pain. To the Klingon, this illustrates a feature of Christ's personality that is often neglected. The Klingon Rite of Ascension requires that the initiate walk between two rows of warriors armed with pain sticks. This is sometimes called The Way of Blood. It is a test of a warrior's commitment and courage. Christ satisfied this requirement and much, much more. And this act was no punishment for a criminal, as the Romans intended, nor was it a rite that had only a symbolic meaning. Christ did not run from this pain; he welcomed it. His sacrifice was an act of will. In this crucifixion, Christ defeated his enemies. And this is what makes him a suitable savior for the Klingon as well as the human and all races. 19Behold, I give you the authority to trample on serpents and scorpions, and over all the power of the enemy, and nothing shall by any means hurt you. 20Nevertheless do not rejoice in this, that the spirits are subject to you, but rather rejoice because your names are written in heaven." 1 Then I saw an angel coming down from heaven, having the key to the bottomless pit and a great chain in his hand. 2He laid hold of the dragon, that serpent of old, who is the Devil and Satan, and bound him for a thousand years; 3and he cast him into the bottomless pit, and shut him up, and set a seal on him, so that he should deceive the nations no more till the thousand years were finished. But after these things he must be released for a little while. 4 And I saw thrones, and they sat on them, and judgment was committed to them. Then I saw the souls of those who had been beheaded for their witness to Jesus and for the word of God, who had not worshiped the beast or his image, and had not received his mark on their foreheads or on their hands. And they lived and reigned with Christ for a thousand years. 5But the rest of the dead did not live again until the thousand years were finished. This is the first resurrection. 6Blessed and holy is he who has part in the first resurrection. Over such the second death has no power, but they shall be priests of God and of Christ, and shall reign with Him a thousand years. 7 Now when the thousand years have expired, Satan will be released from his prison 8and will go out to deceive the nations which are in the four corners of the earth, Gog and Magog, to gather them together to battle, whose number is as the sand of the sea. 9They went up on the breadth of the earth and surrounded the camp of the saints and the beloved city. And fire came down from God out of heaven and devoured them. 10The devil, who deceived them, was cast into the lake of fire and brimstone where the beast and the false prophet are. And they will be tormented day and night forever and ever. 8But God demonstrates His own love toward us, in that while we were still sinners, Christ died for us. 13For "whoever calls on the name of the LORD shall be saved." 17Therefore, if anyone is in Christ, he is a new creation; old things have passed away; behold, all things have become new. "I am the door, if anyone enters by me, he will be saved..." John 10:9.